Amit Patel is Bay Area dancer, choreographer, and teacher. His dance repertoire includes contemporary, jazz, ballet, hip hop, and Bollywood. He has trained in top dance intensives across the United States, most notably, The Nexus Project & Hubbard Street Dance Intensive in Chicago and the San Jose Conservatory for Contemporary Dance Arts. His work with Mona Khan Company earned him a place to perform on many national platforms including: the Indiaspora Inaugural Ball in Washington D.C honoring President Obama’s second Presidential term; the top 48 of America’s Got Talent out of 70,000 acts; the San Francisco Ethnic Dance Festival; and a performance shoot for the international Emmy award winning show “India” on the Spanish T.V Network, Univision. As a first generation Indian American, Amit has had the privilege of growing up in a multicultural society that helped motivate him to create the Amit Patel Dance Project; dance art that has the potential to unite, educate, and inspire people across cultures. 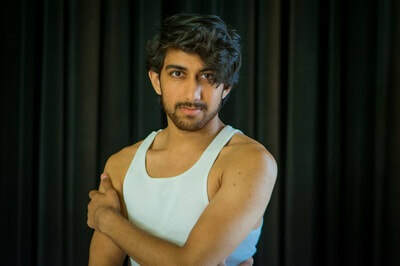 As an artist, Amit hopes to continue exploring the fusion dance space while creating more capacity and opportunity for Indian contemporary dance.